In need of a quick breakfast? 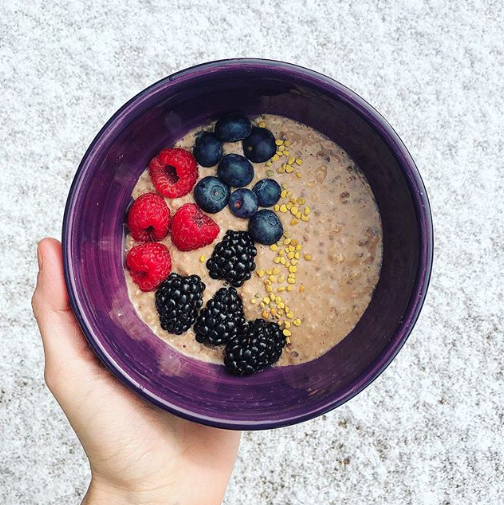 Try this easy make-ahead Overnight oats recipe for those busy mornings! *Combine & store in the fridge overnight. 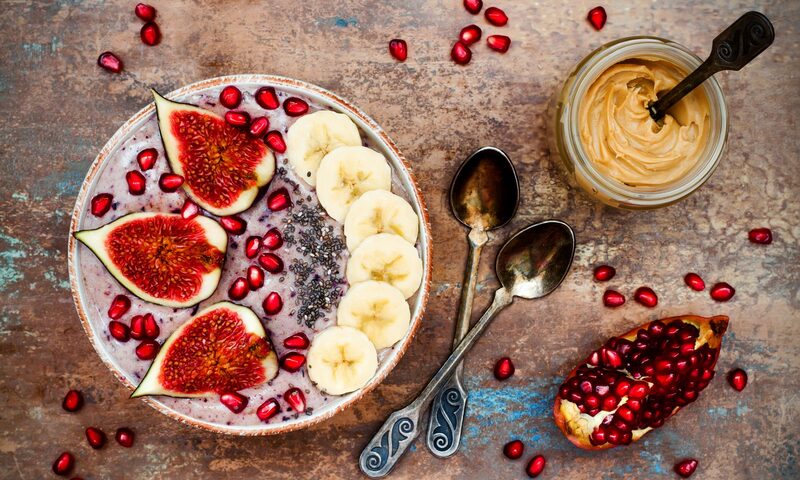 *In the morning add toppings of choice, such as fresh fruit, nut butter, bee pollen, chopped nuts, unsweetened coconut flakes, cacao nibs, etc.! *Such a quick, easy & filling breakfast option that you can grab & go! 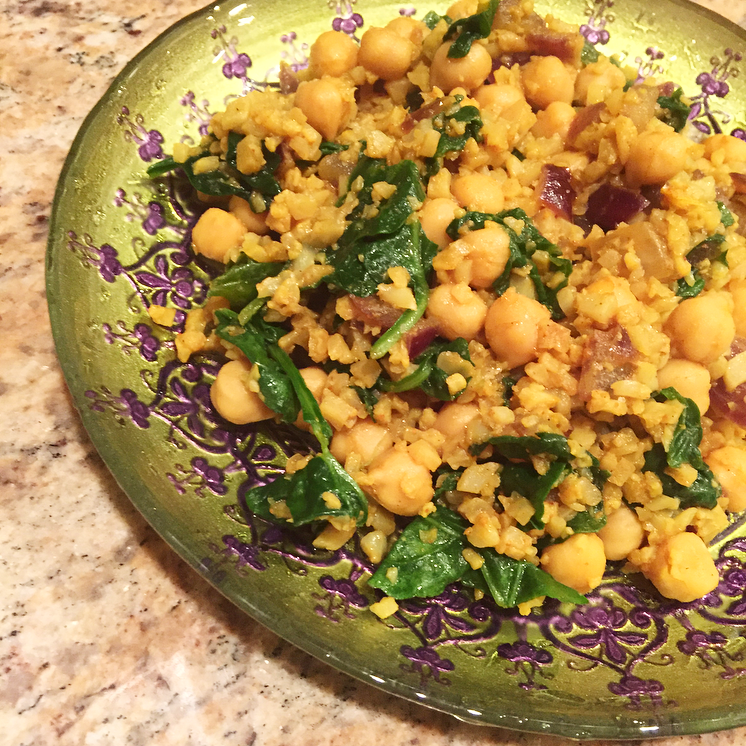 This curried chickpeas with cauliflower rice recipe is quick, easy and delicious! It’s vegan, gluten free and dairy free, so it’s perfect for animal lovers and those with food allergies. As mentioned in one of my recent blog posts, the turmeric found in curry has tremendous health benefits, making this dish not only flavorful, but also very nutritious. The best part is that this recipe is ready in less than 20 minutes! Oh, how I love quick and easy weeknight dinners. Heat the oil in a skillet over medium heat. Add the onions, salt and pepper and cook until the onions caramelize, about 8-10 minutes. Add the riced cauliflower and cook for another 2-3 minutes. Stir in the curry powder and pour in the vegetable broth. Stir the pan to scrape up any brown bits. Add the chickpeas and spinach, reduce the heat to a low simmer and cook for another 10 minutes. Add more broth as needed to keep the pan from getting dry. Divide into two servings and enjoy! There’s nothing quite like a warm mug of creamy hot cocoa in the wintertime! 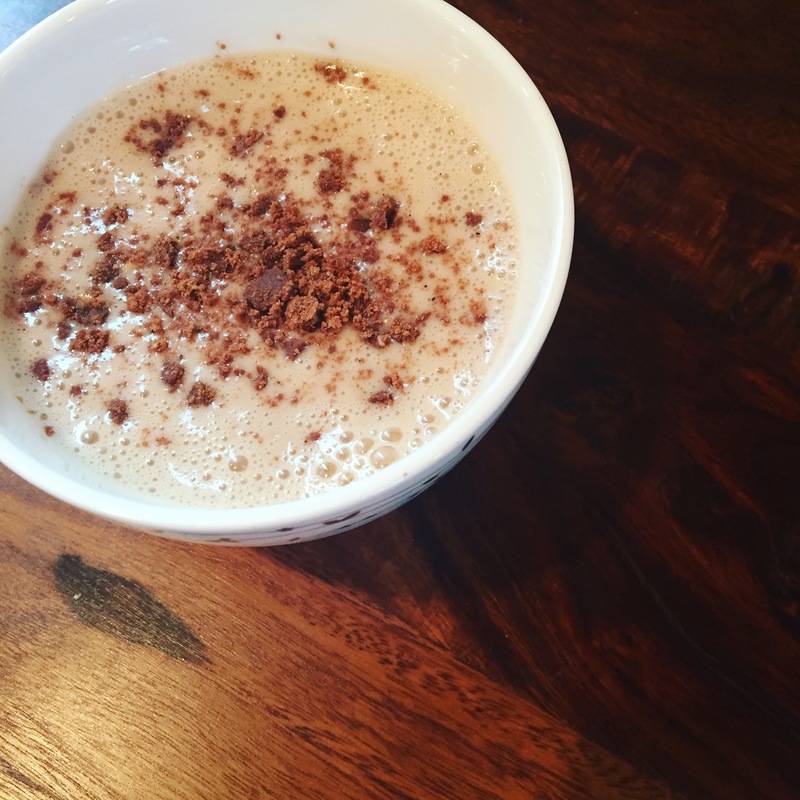 While most hot chocolate drinks are filled with loads of sugar, this healthy hot chocolate recipe is dairy-free, lower in sugar, packs tremendous nutritional benefits and is equally as delicious as the original! Maca root is a member of the cruciferous family (think broccoli), and is considered a superfood for its many health benefits. Maca is rich in vitamin B vitamins, C, E, and it provides calcium, zinc, iron, magnesium, phosphorous and amino acids. Maca is an adaptogen and therefore has long been used to balance hormones in both men and women. It has positive effects on energy, endurance and mood. Cacao (pronounced ka-cow) is the raw, unprocessed form of chocolate. 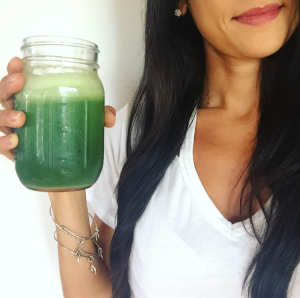 This superfood is very high in antioxidants, is a great source of B vitamins, and contains minerals such as magnesium, iron, chromium, among many others. Cacao also acts as a natural mood-booster by raising serotonin levels. Whisk or blend all ingredients together until smooth. Transfer ingredients to a small saucepan and slowly warm to desired temperature. PS. 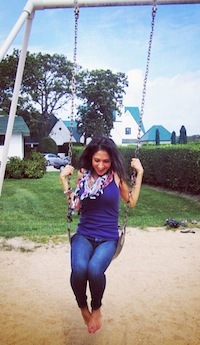 Don’t forget that I am offering HALF OFF HEALTH COACHING this month! Click here for details!